From alcoholic beverages to energy drinks and even water, the beverage industry is doing quite well these days. Consumer trends such as healthier living, increased taste expectations, and a growing distrust of artificial ingredients are forcing greater innovation in product development across the board, which also blurs category lines. Water According to the 2015 State of the Beverage Industry Report, national water consumption has increased by over 68 million 8-ounce servings in just a year, due in part to healthier lifestyle trends. Still, bottled waters account for the majority of sales, but sparkling water is fastest-growing segment and will continue to be so. Juice Again, healthy lifestyles are driving this trend. The refrigerated juice and juice drink smoothies segment grew to more than $842 million, with Naked brand as a top performer. Coconut water is another healthy bright spot, doubling its sales every year since 2004. Finally, Capri Sun showed a 26% increase in sales over the previous year. Sports drinks Not just for hard-core athletes any more. In fact, this category’s traditional market is steadily declining, while more casual sports drink consumers is increasing. Nearly 50% of surveyed consumers aged 18-24 choose sports drinks when they are not working out. Protein drinks Another category that is seeing the positive impact of changing consumer attitudes, the ready-to-drink protein drinks market grew by newly 24 percent in 2014. Soda Still a leader, carbonated soft drinks face several challenges and decreasing sales show it. To appeal to the health and taste-oriented markets, this category is innovating with smaller portion sizes, using natural sweeteners, and through craft sodas. Much like craft beers, craft sodas give consumers something trendy, with greater variety, including flavors, kosher, gluten free, organic, vegan and variety packs. Tea Consumer desire for convenient, better-for-you beverage options will continue to drive double-digit growth, especially as canned and bottled teas increase their presence in convenience stores and vending machines. Dairy alternatives The U.S. drinking milk market is expected to decrease 2% annually, while dairy alternatives are expected to grow 52 percent over the next four years. When you consider the growth of almond milk and coconut milk, and the interest in fiber-based milk, this expectation seems highly realistic. Alcoholic beverages. Changing of the guards. Wine The market preference is changing here as well. While wine sales are up, champagne shows the most significant change. Nearly half of those surveyed, age 25 to 34, reported drinking sparkling wine or champagne at home. Beer Gone are the days of the cheap 6-pack, as more consumers buy imports and craft beers. Domestic beers are capitalizing on this movement, adding super-premium sub-brands. Distribution technology trends. GPS helps competitors gain ground. 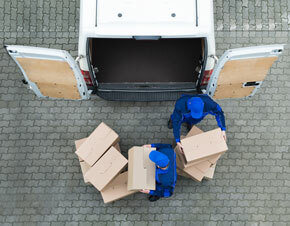 Throughout the course of a day, a delivery driver will make a multitude of stops while racking up the mileage quickly. So when trying to increase service while cutting costs, wouldn’t having the most information possible make the most sense? GPS solutions do more than tracking. Engine diagnostics can lead to greater fuel efficiency, less vehicle downtime, and longer vehicular life. Time and Attendance can eliminate time-consuming, inaccurate paper time sheets and click in devices. We offer a free, no obligation trial. If you decide we’re exactly what your company needs, we’ll get you started with no upfront costs.